Theocracy is one of those bands I don't listen to very often but every time I do listen to them I ask myself why I don't play them more often! Until this album I'd only heard the 2008 album Mirror Of Souls, an album that displayed some fine melodic power metal in the style of bands such as Celesty and Freedom Call. It was an excellent album with some truly catchy songs that stuck in my mind for days afterwards every time I listened to them. As The World Bleeds follows much the same formula as Mirror Of Souls with fast-paced songs full of energy coupled with melodious keyboard lines, furious drumming and vocals that hook you in. Everything just fits perfectly. The guitar work on the new album is far above what was heard previously with some beautiful solos filling out the songs and giving rise to some comparison to Swedish band ReinXeed. This album started a little slowly for me with the first two songs seeming to be fairly mundane power metal songs. They're ok but didn't really grab me. The remaining eight songs, from the storming Nailed onwards more than make up for this though! The band delivers a tour-de-force of outstanding melodic power metal that just begs to be heard. What is missing from this album – and this may be good or bad depending on your point of view – is the slower side of Theocracy which was heard on the likes of the folk-tinged song Bethlehem on Mirror Of Souls. Probably my favorite song by the band if truth be told. Of course, that's just me wanting something because its not there! 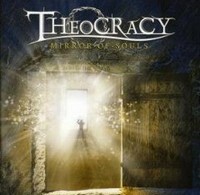 If Theocracy continue on the same path I can see them pulling in many new fans. They certainly deserve to be more widely known. Theocracy is the child of Matt Smith who recorded the debut on his own. After the release in 2003 he was joined by guitarist Jonathan Hinds and drummer Shawn Benson and soon they started to play some local shows. Theocracy became a band, even if it seems that they have a problem to find the right one for playing bass... Anyway, they are back with their follow-up Mirror Of Souls. The opener is called A Tower Of Ashes and kicks off with an epic and symphonically touch, then they set in with hammering drums and heavy riffs - but still very melodic! And next they speed off with a fast passage, the Georgia trio knows how to surprise the listener. And after a few minutes it becomes crystal clear that their roots are in European melodic speed metal as well as US power metal. At A Tower Of Ashes they aren't presenting something new, but it's well done and should be interesting for fans of Gamma Ray, Freedom Call, Sonata Arctica, etc. The following On Eagles' Wings you get some Gamma Ray-esque riffing, but later the guitars step back a bit to give Matt Smith's vocals more space. The chorus is catchy while it seems that Matt Smith is telling a story... Theocracy is focusing on melodies, but also vary. They work with distorted parts, with big choirs, with hymn-like passages and the kind of story-telling vocals. For Laying The Demon To Rest they add some heaviness! At the opening part they even add a thrash touch to it, then stopping dead and offering a symphonic part. Whispering vocals join in. And so they slowly develop the almost 10-minute long opus. The thrashy riffs are back and accompanied by fast drumming and melodic vocals which culminate in some high-pitched screams. During the long instrumental passage they add some progressive elements and show their full spectrum of sounds. With acoustic guitar kicks off Bethlehem and then Matt Smith starts singing this powerful balladesque tune, not the typical Christmas tune, but in fact he tells the story. After 2 minutes the band joins in and it becomes a catchy melodic power metal track. Later they return to the opening theme with acoustic guitars, but it's just like an interlude, coz they come back full force! They start using counter part vocals like we all know them from TSO and Savatage, even if Matt Smith stays in the focus. Very cool! 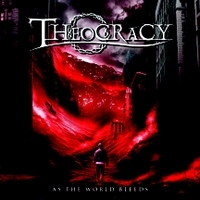 So if you like power metal with huge melodies and different sounds, then check out Theocracy!